The chancel and nave date from the 11th century. The original date of the west gallery is not recorded, but it appears to have been in existence before 1752 - 53, when other work was being carried out. The gallery was rebuilt in 1860, and in 1896 a new organ was positioned on it and the choir moved to the chancel. 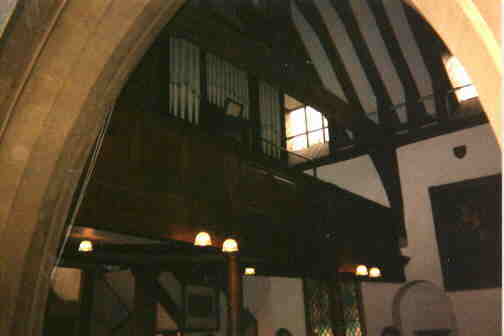 The organ takes up most of the available space within the gallery, and it cannot now be used for its original purpose. Pevsner's quote is "Nice west gallery on two Tuscan columns" .